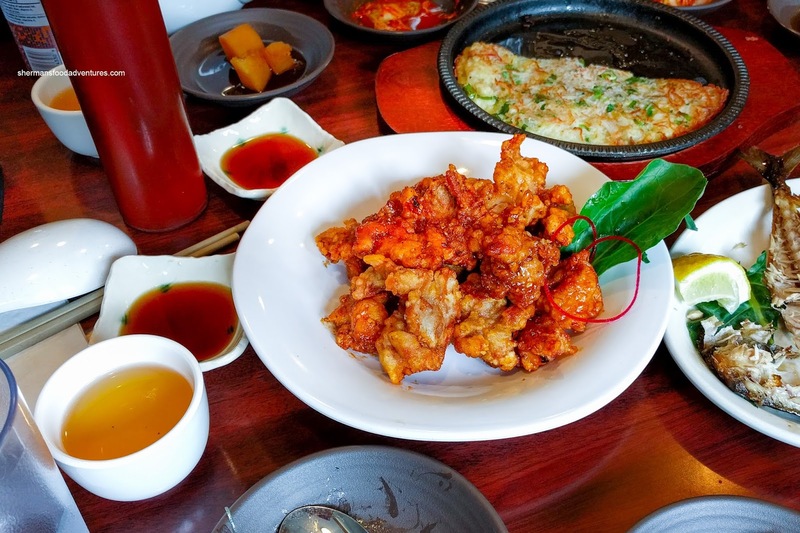 I'm sure it is not lost upon most people that the price point of Korean food is on the higher side. So much so, even my Korean friends wholeheartedly agree, especially JuJu. Besides, he prefers home-cooking anyways because there is much more effort and care put into the food. However, that doesn't mean he isn't always looking for the next best thing in terms of Korean restaurants. 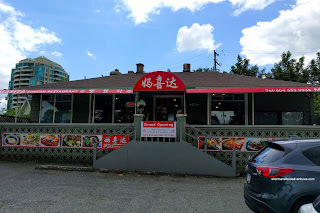 After Sunday morning hockey, he suggested we give Masita Korean out on Kingsway in Burnaby a shot. 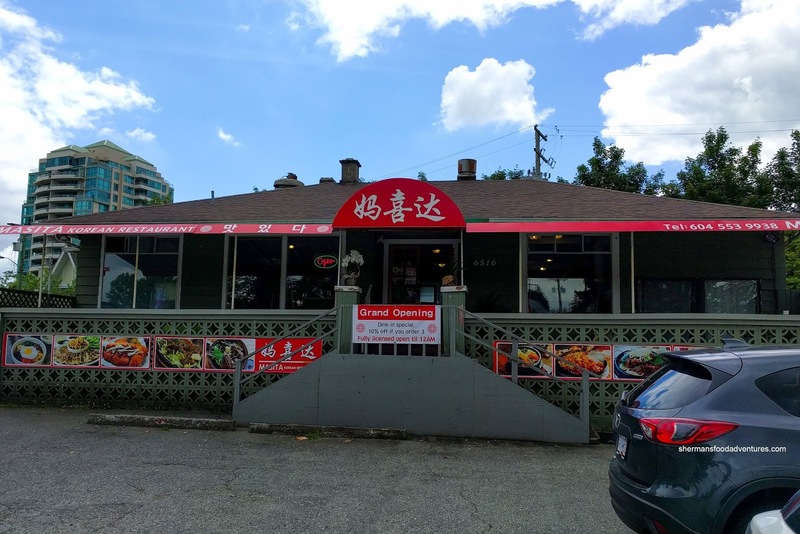 Seemingly transformed overnight, it took over the long-standing location of Pho Tan. With a new paint job and some minor renos, we were welcomed into a clean space by the friendly purveyors. One look at the menu and we were in complete shock. No, it wasn't due to the high prices, rather, the prices were abnormally low. Most meals were around $10.00 and with the grand opening 10% discount, it was even less. With that in mind, we ended sharing some appies including the Masita Fried Chicken. We opted for the regular version and it featured large nuggets of juicy and tender chicken that was coated with a crunchy batter. It was nicely seasoned, yet a touch gummy in spots. Something that was similar but not was the Ggan Poong Ki (Sweet & Spicy Fried Chicken). It featured the same juicy and tender chicken with a crunchy exterior. The sauce was minimal, so it was only a bit sweet with a light heat. I would've liked just a touch more flavour. 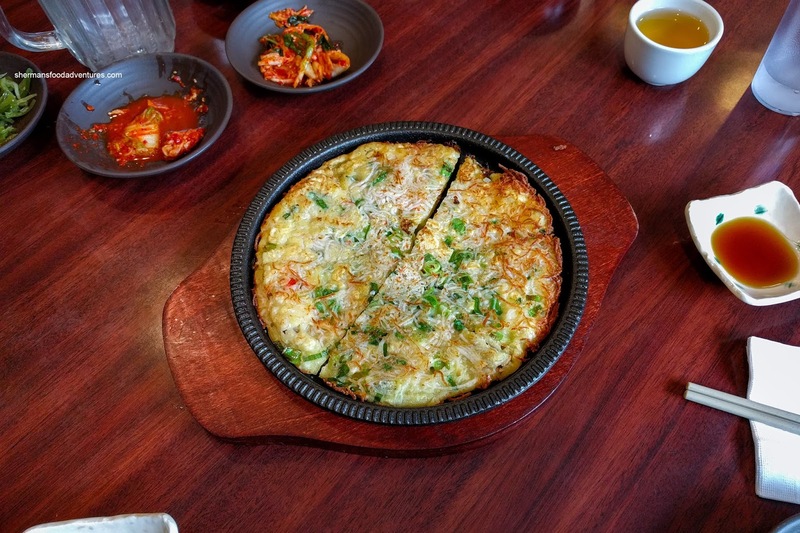 Our last appie was the Seafood Pancake which was also $9.00. We still couldn't believe the prices given that the portion sizes weren't small. It wasn't greasy, but the pan-seared could've been more aggressive. The texture was good though being light and almost airy rather than the common dense version we find at most spots. Inside there was a moderate amount of seafood as well as the right ratio of green onions. Of course we were treated to the usual Banchan which included seaweed, kimchi and stewed potatoes. These were refilled when we finished them. But it was more than enough as we were served 3 of each for the 5 of us. The stewed potato was on point with a tender texture while retaining its shape. There was just enough sweetness to go with the equal amount of saltiness. 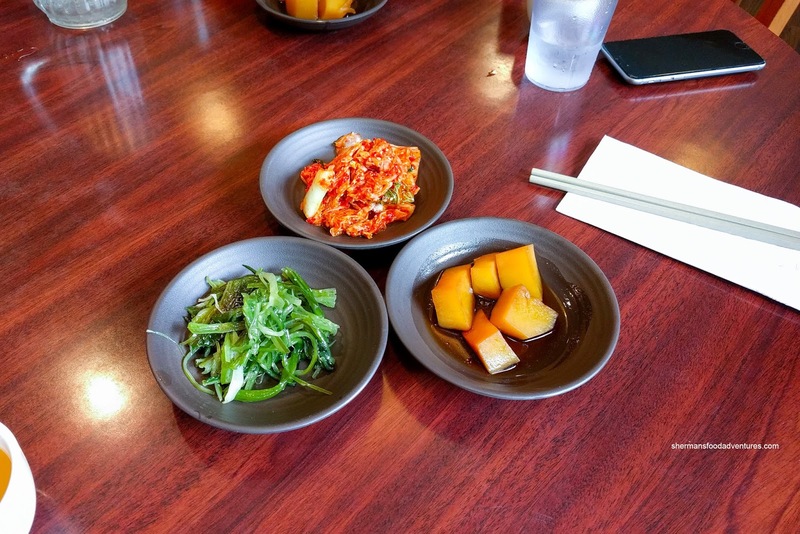 The kimchi appeared to be freshly made so it was rather crunchy and lacked depth. However, it still had enough spice to go with the predominantly sweet flavour. 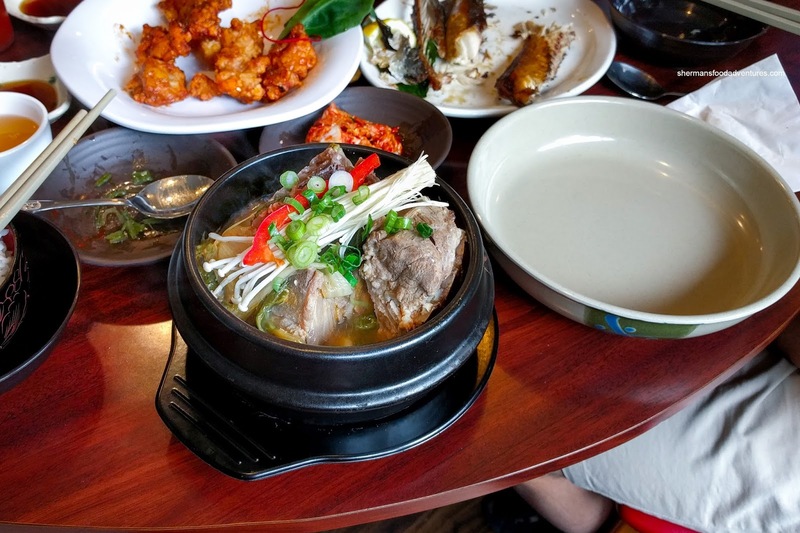 For my main, I went for the Gamjatang (Pork Bone Soup) that arrived bubbling hot. I was surprised to find 4 large and meaty bones. 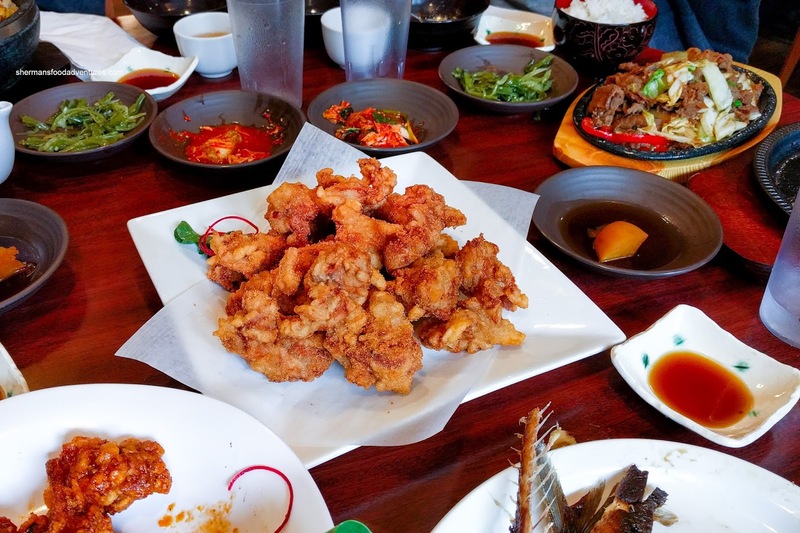 Those 4 bones alone had enough meat to fill me up before I could even down any of the appies or banchan! Most importantly, the meat was on point being tender, moist and lightly fatty. It practically melted in my mouth. 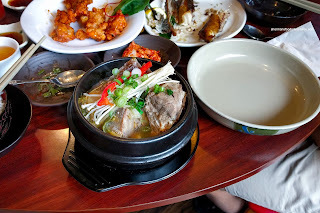 The soup itself was super-flavourful being well-seasoned and exhibiting natural meat flavour. I did miss the usual perilla seeds though. Milhouse decided to go for the Masita Bulgogi with veggies and rice cake. This was presented on a cast iron plate, but wasn't particularly sizzling much. The meat was tender though while being on the sweeter side. This went well with his bowl of rice, but the meat could've used a bit more caramelization and searing. JuJu had probably one of the best deals of all with the Grilled Mackerel and Seafood Tofu Soup combo for $11.70 (after discount)!!!!! The mackerel arrived first and it was decent in size and served with a wedge of lemon. It was mildly seasoned and lightly smoky. We would've preferred it to be a little more moist, but it wasn't dry either. 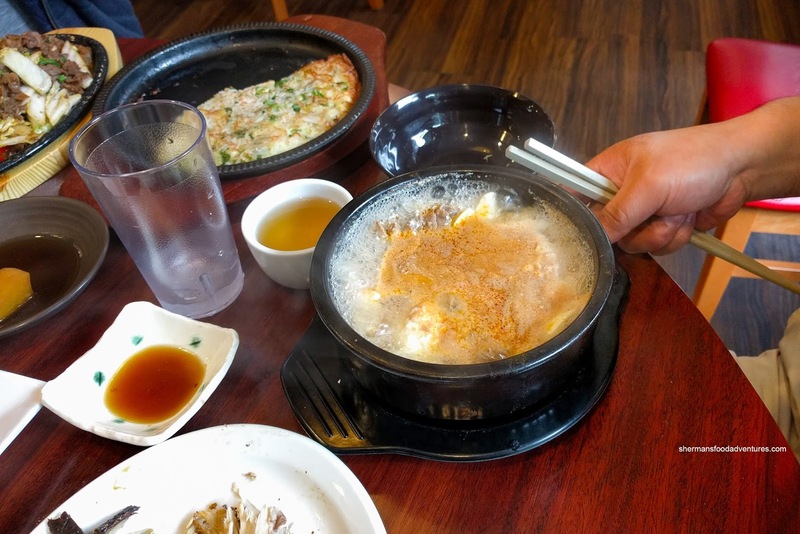 Bubbling aggressively, the seafood tofu soup was quite good. It was well-seasoned being sweet and a bit briny. there was plenty of soft tofu and bits of seafood to make it hearty. This was also served with a bowl of rice that JuJu dusted off and had a refill. For the price, normally, this would only get you an appie at any other restaurant if you were lucky. 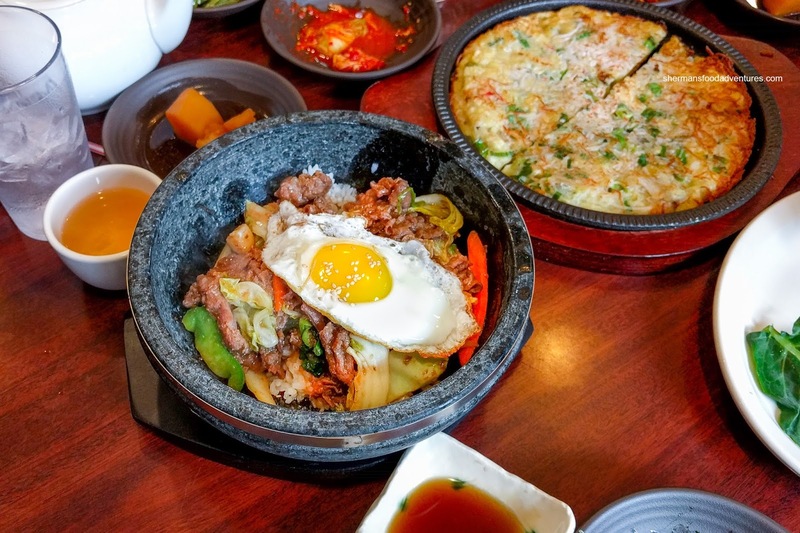 Both Kaiser Soze and Gordo had the Bulgogi Rice with veggies, egg and rice cake served in a sizzling hot dolset. Again, this was a good amount of food for the price. Since the dolset was hot enough, the rice was able to form a crust. Furthermore, the rice was not overly wet, so it had a nice chewy texture and subsequent nuttiness from the crust. 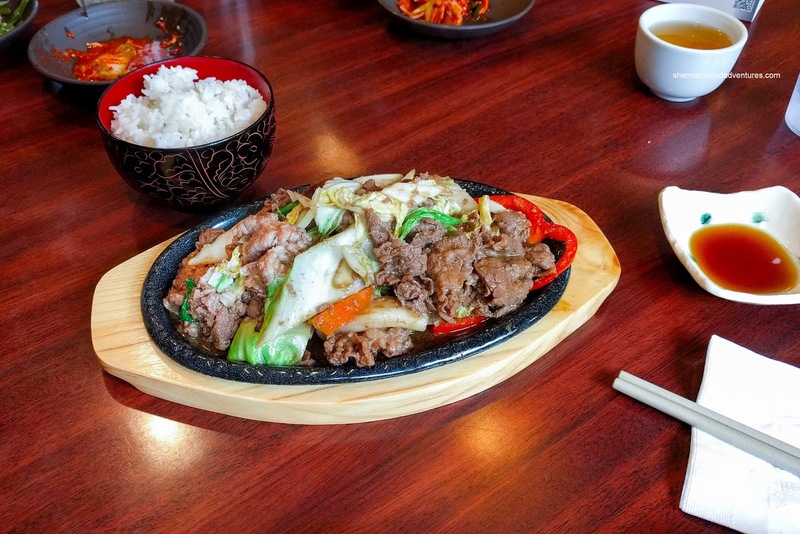 There was plenty of tender beef to be noticed in every bite. 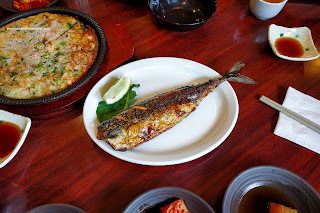 Our meal at Masita was nicely summed up by JuJu (our resident Korean at the table) - decent Korean eats (good, but not great) for an unbelievably reasonable price. Add in great service and good portions, we have a winner. - Watch the TV, if you are over 5'10, you will hit your head, I did! We tried it out and won't be going back. The pancake wasn't crispy enough and they don't have the traditional bibimbap. It was rice and meat and that is all. Food quality wasn't as good as Morak or even Kenzo. Two different groups came in, sat down, looked at the menu and left.